Alom Shaha grew up in a strict Bangladeshi Muslim community in South-East London in the 1970s and 80s. He was expected to go to mosque regularly and recite passages in Arabic from the Quran, without being told what they meant. Alom spent his teenage years juggling two utterly different worlds: a chaotic, sometimes funny, sometimes tragic family life on a council estate, and that of a student at a privileged private school set amongst the idyllic green playing fields of Dulwich. In a charming blend of memoir, philosophy, and science, Alom explores the questions about faith and the afterlife that we all ponder. Through a series of loose ‘lessons’, he tells his own compelling story, drawing on the theories of some of history’s greatest thinkers and interrogating the fallacies that have impeded humanity for centuries. 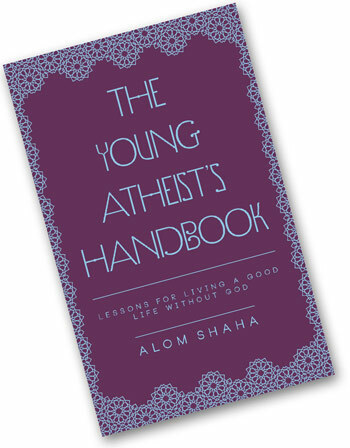 Alom recounts how his education and formative experiences led him to question how to live without being tied to what his parents, priests, or teachers told him to believe, and offers insights so that others may do the same. Depends. For the book that’s inside of *me*, I need to talk to pelope, and some pelope won’t talk (or I don’t want to ask) unless I have a book deal, which I won’t have without an agent, which I won’t have without a clear outline/proposal, which I find hard to do without talking to pelope. Vicious cycle. Will figure it out some day.